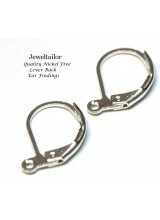 Create a more secure form of earring with these quality lever back earring components available in gold and silver. 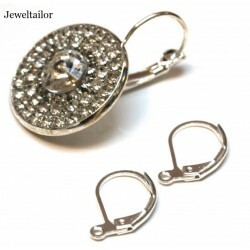 These shiny silver plated lever back earring findings provide a more secure fitting to ensure you.. 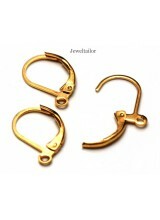 These gold plated lever back earring findings provide a more secure fitting to ensure your earrin..